Whenever we think of success at school, we assume that academics is most important, but did you know kids social skills give an advantage over academics? Research is showing us that kids who cope with the social challenges of school are the ones who experience success. When we think about social skills vs academics it’s maybe not so surprising. Kids need the confidence to ask questions and seek help, the skills to work with others and share talents, the resilience to bounce back after failures, and the perseverance to keep going. We can start the for all of these long before kids get to school. 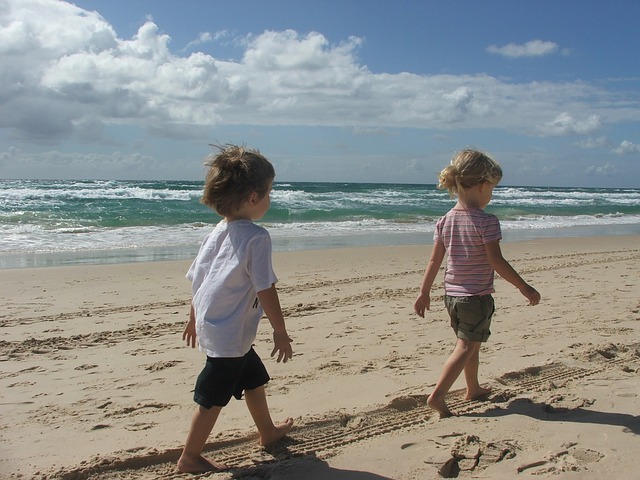 Young children do not come with social skills in their brain backpacks. Helping them learn positive ways to interact with others is a huge challenge for parents, teachers, and caregivers. 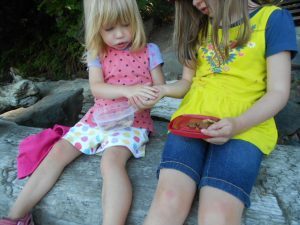 Three basic skills for kids are learning to share, to take turns, and to wait. These are easier for some than for others so we may need to try different ways to support them. When it comes to sharing, it’s so funny to see toddlers offer us a bite of something only to take it back. They have only figured out part of the process as they build on our example. Acknowledging a child’s effort is also important. “I see you are sharing,” is a simple comment that echoes deep. Books and stories are a valuable resource. The brain is hard-wired for stories and seems to absorb the message. We need to remember to give kids the words to use and this is one way. When kids play with others, there are many opportunities to share and to learn to ask others to share with them. Taking turns is a critical part of building relationships. Many games and activities give kids practice at taking turns. We also need to provide the words and example for asking others to give us a turn. “Please wait, I’m not done my turn.” can help kids as they interact with playmates. Learning to wait is more than being patient. It involves attention and focus, and being able to keep going while waiting for the payoff or reward. Having a few strategies is really helpful. When we are waiting in line at the bank, for example, we can sing songs together or tell stories. The game I Spy is great for filling minutes when waiting. You might want to choose a color and think of as many items of that color as possible. Decide on a shape and count the number of things of that shape. To “steal a march on someone” is to have an advantage over them and kids social skills give an advantage over academics. Will your child’s day have some social fun and play? 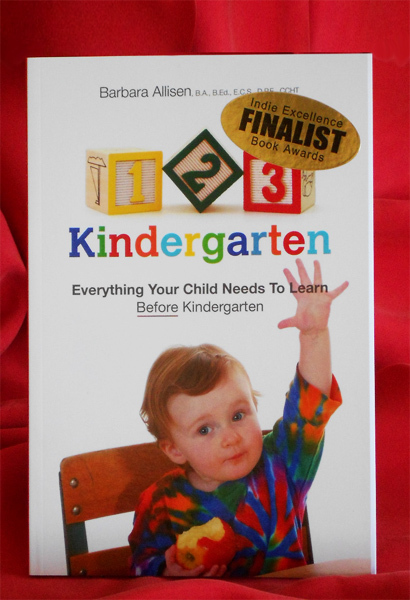 Kids often receive lists of items they will need to start kindergarten. Besides these, there are some other tools and strategies, like being able to wait. Are you asking how this could possibly be important for school? It’s hard to believe, but it can have a very significant impact on children’s success at school. Having to wait is a fact of life, and it’s not just negative. Kids have to wait until they get up in the morning; they can’t always get out of bed as soon as they wake up. Sometimes, it’s still before 5 or 6 in the morning. After helping to mix up a batch of cookies, they have to wait until they are baked. When walking, we have to wait for the light to change before crossing the street. Being able to waiting requires impulse control and self-regulation. We don’t realize that being able to wait is a skill. Instead, we think of it as personality, but being patient depends on the strategies that we know and use so that we can wait. 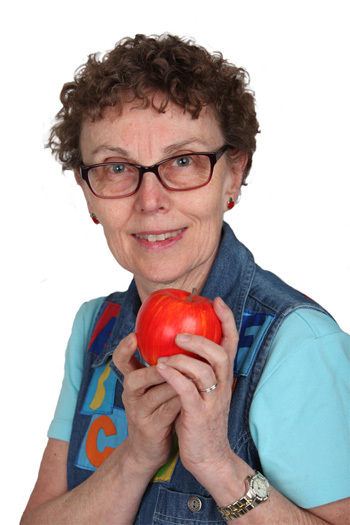 Some of these waiting-tools might be singing, playing games, reading a book or telling stories. 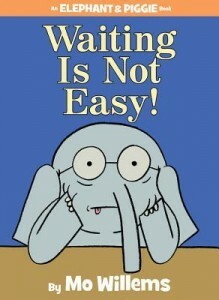 Gerald the elephant, has a very hard time waiting with Piggie in the story Waiting is Not Easy, by Mo Willems. He handles waiting with groans. Piggie reminds his elephant friend that it will be worth it. 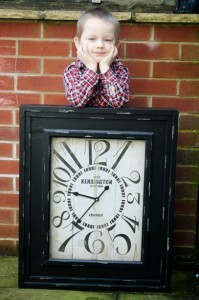 Waiting time has actually been the subject of some scientific research. It’s called Strategic Allocation of Attention. Studying years after high school requires that we be able to delay the reward. Spending years building a business means being able to wait for the payoff. Like other skills, it needs practice and exercise to get good at it. Helping your child develop a few tools for being able to wait is another way to equip their off to school toolbox. Can you wait for another idea until tomorrow? As we get kids ready to go off to school, we help pack both backpacks and their school tool box. An important tool is the social skill of taking turns. Being able to take turns might seem like something insignificant but it is the basis for all relationships. In any relationship there is give and take. Our first interactions with infants begins creating the brain pathways for my turn, your turn. Before babies learn to use words, we talk and wait for their sounds. As we roll balls back and forth with wee ones, we are again using this back and forth, see-saw strategy. Gradually, kids develop this skill until we take it for granted and think of it as natural. 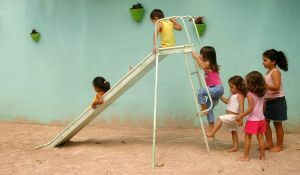 But we soon realize, as kids enter into relationships with other children, how many experiences of taking turns are needed. 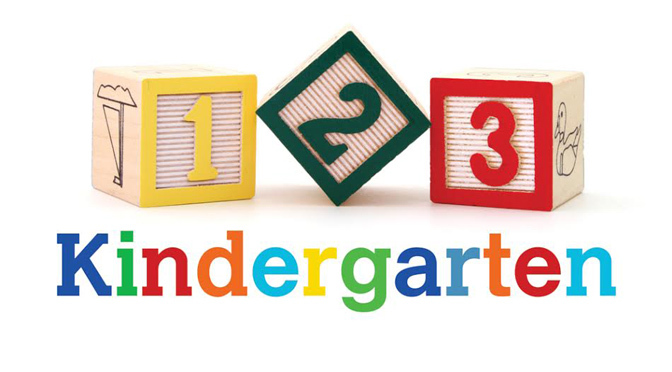 At daycare, preschool, and kindergarten, there will be reminders to take turns, both from the staff and the kids themselves. Some ways we can help kids learn to take turns are to model this in our interactions with them. There are also some fun book we can read and talk about. 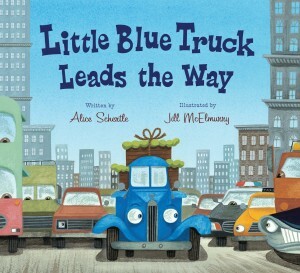 Little Blue Truck, by Alice Schertle, is the story of many cars, trucks, and buses, that all want to be first. When there is big traffic jam, Little Blue truck has a suggestion. Kids can play with their own cars, trucks, and other toys and try out various scenarios or have a parade with other kids. Board games are great for practicing taking turns and so are playgrounds. Only one child can slide down at a time. 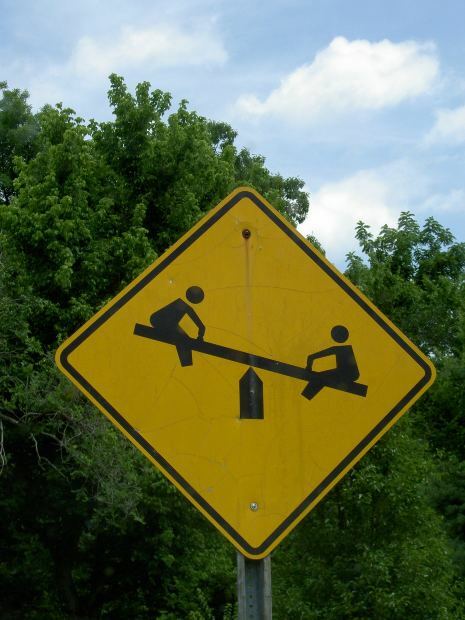 Some monkey bars and bridges will be only one at a time, too. Follow the leader is a fun outside game. Kids will watch us as we take turns each and every day. It also helps if kids have some strategies about what to do as they wait for a turn. 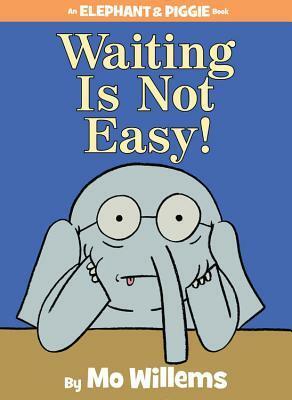 The next blog post will discuss helping kids learn to wait. Would you like a turn to share your suggestions?